Hello there, lovely reader. 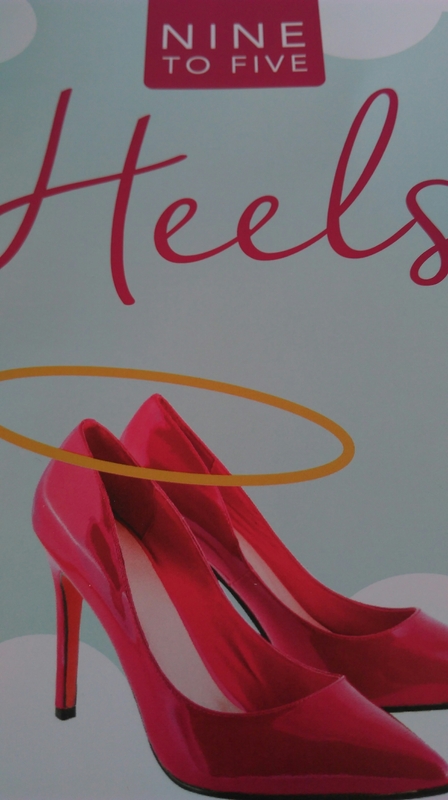 Today I have a lovely little review for you all. Before Christmas (which seems like so long ago!) 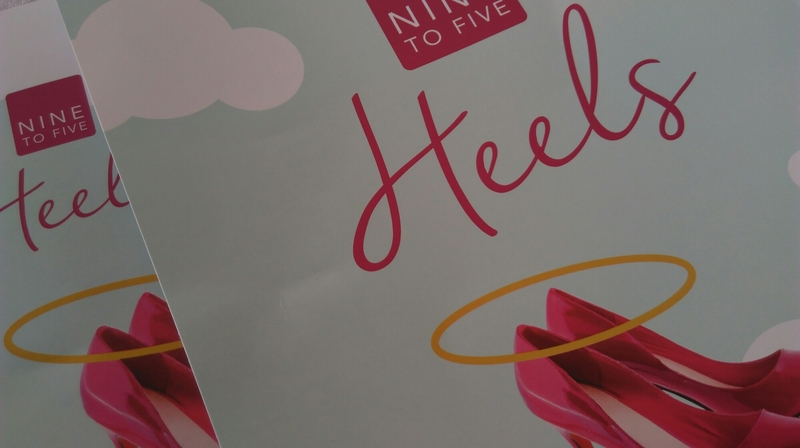 I was contacted by the lovely Alison on behalf of Nine to Five Heels, which has launched a brand new range of insoles to make even the most devilishly painful shoes a delight to wear. I explained to Alison that my cerebral palsy causes issues with my feet and walking, and she said these would be perfect for me. I couldn’t wait to try them out! The packaging used for these was absolutely wonderful! A beautifully wrapped, exciting package packed with care is something I always appreciate. 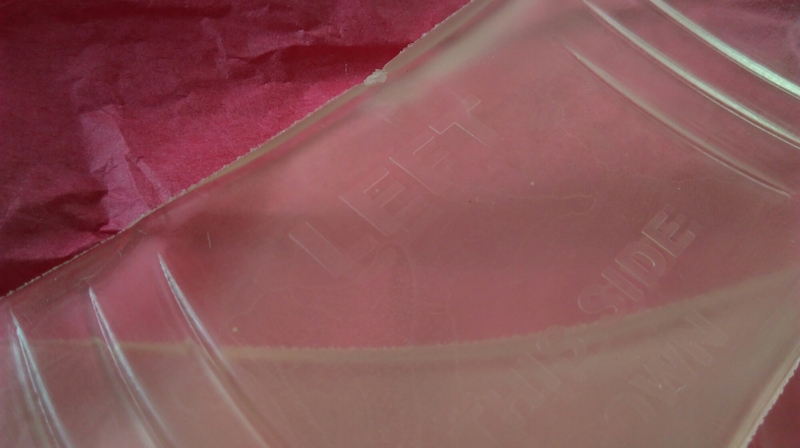 The crinkly pink tissue paper housed the insoles, which were helpfully packaged in rather beautiful cartons. 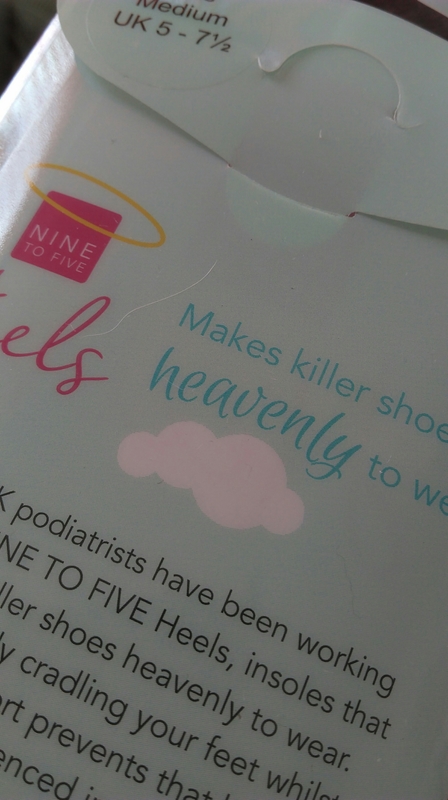 These packages explain the idea behind the insoles, where ‘…leading UK podiatrists have been working hard…to create insoles that really do make killer shoes heavenly to wear.’ I admit, I’m not one for wearing heels every day. My hemiplegia makes this too painful and tricky, but I am a huge fan of my Dr Martens heeled boots (they’re the Marcy design i believe) and trying these out in heeled boots was the perfect experiment. As you can see above, this particular pair is clear and gives you instructions telling you where to place them into your shoes. 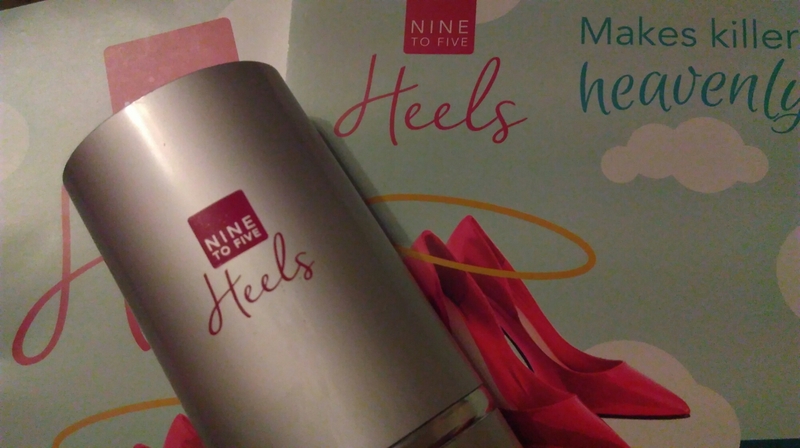 What I noticed was a strong peppermint smell, which I found unusual at first, but it’s a great way to keep everything feeling fresh when on your feet all day. Don’t worry; people won’t be commenting on the peppermint smell when they’re in your shoes! 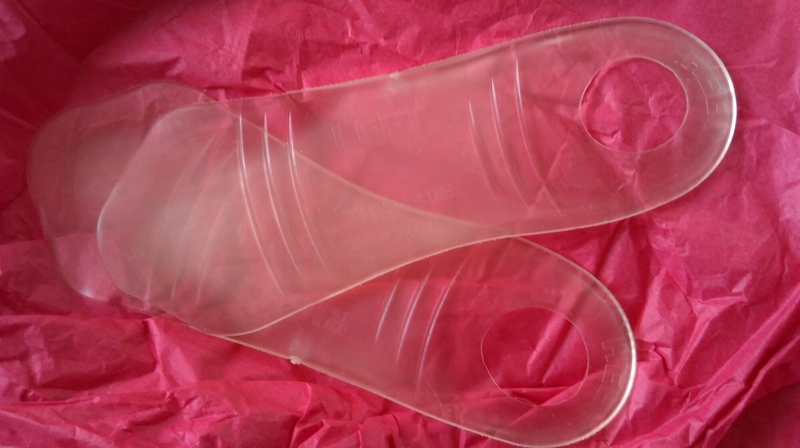 The insoles are extremely flexible and will fit into any shoe regardless of heel height. The groves in the insole cradle your feet in the best way, allowing you to stay comfortably on your feet even after the longest days. 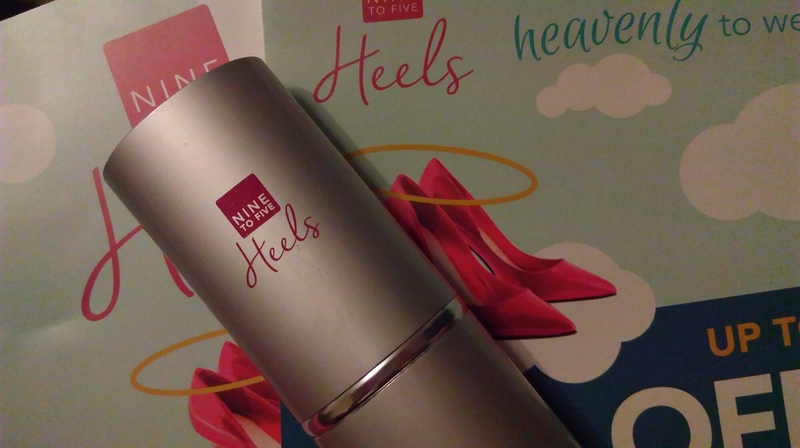 I also received a wonderful little manicure set to keep my feet looking fabulous! How gorgeous is that?! 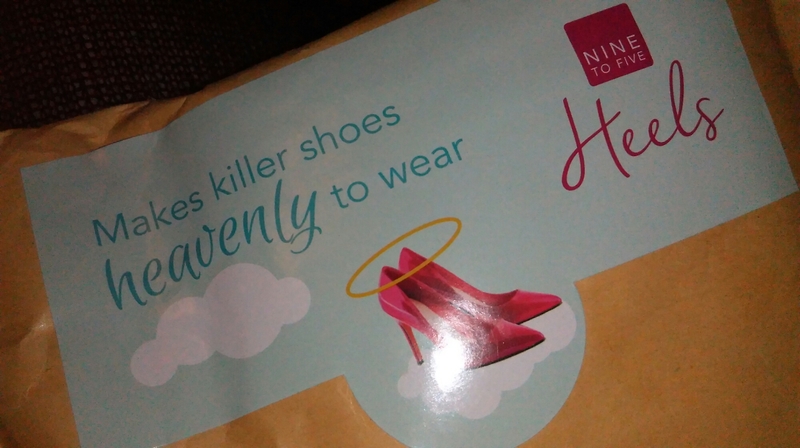 I received the insoles in two colours – black and clear – and there’s a third option in a gorgeous bright pink if that takes your fancy. 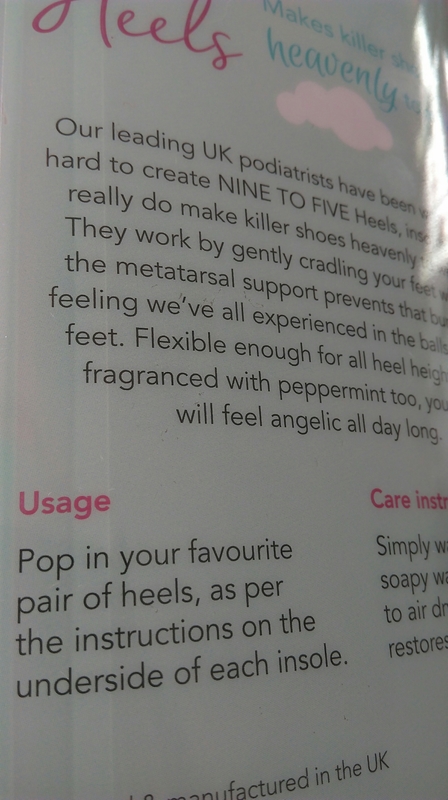 I am really enjoying these insoles, and in fact I have even taken to using them in my regular non-heeled shoes! They just wash clean when needed and are an absolute joy to wear. Thanks so much to Alison for this beautiful package. I am completely converted! Why not check out their product range here? I hope you’re having a fabulous weekend whatever you’re up to.